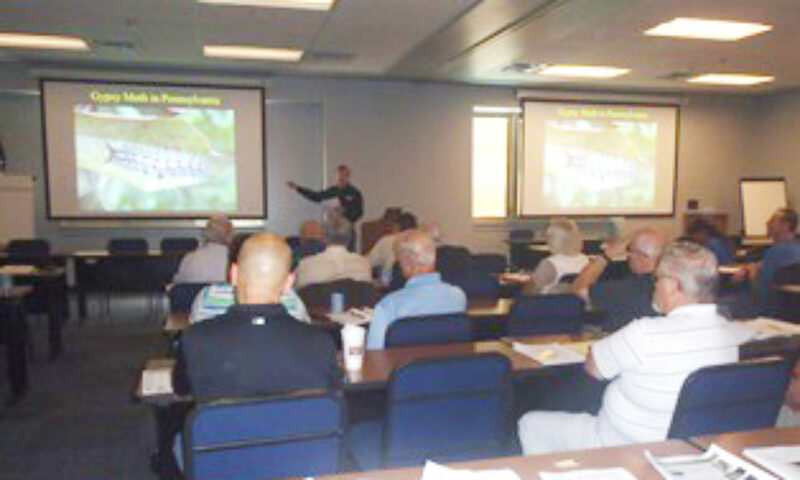 On August 12, 2015, Pike County Conservation District staff participated in a public information meeting on Gypsy Moths held at the Pike County Fire Training Center located at 135 Pike County Blvd. Lords Valley, PA 18428. Representatives from DCNR and Pike County presented information on the gypsy moth lifecycle, explained the state suppression program, and were on hand to answer any questions. Pike County accepted applications from residents and community associations who would like to be considered for gypsy moth spraying in the spring of 2016. This is a state program, run by the PA Department of Conservation and Natural Resources (DCNR) with cooperation from Pike County. The application deadline was September 1, 2015. NOTE: STATE and FEDERAL funding for this 2016 gypsy moth program has not yet been announced. Pike County’s program IS CONTINGENT on receiving this funding for the program. For updates on the program or for additional information please check the Pike County Conservation District website at www.pikeconservation.org, or contact the District office at 570-226-8220.